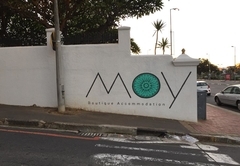 MOY Guesthouse & Backpackers is one of the Green Point guest houses and provides accommodation in 10 guest rooms for tourists visiting the Atlantic Seaboard region. 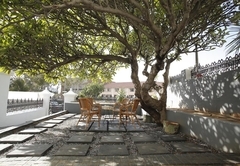 Situate in Green Point on the Atlantic Seaboard, MOY Guesthouse & Backpackers offers comfortable accommodation. 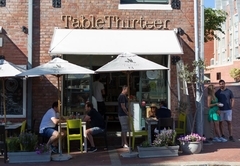 MOY is the perfect base to explore all that Cape Town has to offer. 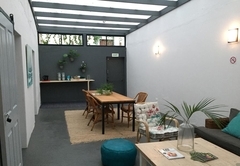 MOY Guesthouse has six en-suite double rooms, four en-suite designer bunk bed rooms, a communal courtyard and a front garden to relax in. 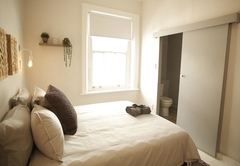 Some rooms have a balcony and all rooms have a private bathroom. The units include USB power-points and each bunk has a dedicated locker, power-point with USB port and a reading light. 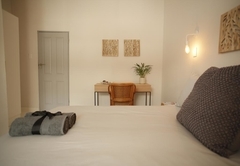 The room has a garden view and can be furnished with either twin beds or a King-size bed. This slightly smaller room is furnished with a Queen-size bed. 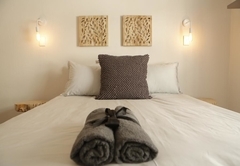 The rooms sleeps six people and has an en-suite bathroom. The family room has a Queen-size bed and a bunk bed. The room sleeps six women. This is a basic room furnished with a Queen-size bed. 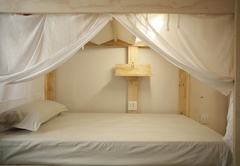 This room is furnished with bunk beds and has an en-suite bathroom. The room has bunk beds and an en-suite bathroom. Breakfast is included in the guesthouse room rates. 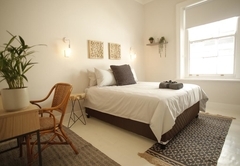 Response timeMOY Guesthouse & Backpackers typically responds to requests in 5-10 minutes.